Is Your Partner A Terrible Driver? One in five married couples think their partner is a dangerous driver and unfit for the road according to a new report which reveals what we really think of our loved one’s driving skills. The research, which has been carried out by Budget Insurance, surveyed 2,000 married motoring couples and found that husbands are erratic and wives too slow according to the opinion of their other halves. While 20 per cent said their partner was a dangerous driver, more than a quarter also said that they have refused to get in the car with their partner in the last year as they were fearful for thier own safety. Women’s main concerns relate to anger, speed and erratic behaviour with their partners driving too fast on country lanes, tailgating other motorists and suffering from road rage. For men it is a lack of driving ability and dawdling at junctions which most winds them up about their partner’s driving. 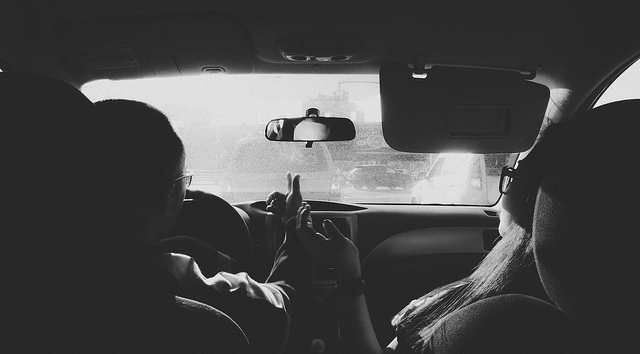 The survey reveals that when it comes to voicing those concerns, British driving couples aren’t afraid to speak their mind, with 69 per cent admitting that every journey ends in a row. Anna McEntee, director at the Budget Insurance, said: “We all have a different approach to driving, but the main thing is that we remain safe on the road. “Arguing about the way someone drives or shouting at them for taking a wrong turn is counterproductive, as it could be a distraction for the person behind the wheel. What winds men up about their partner's driving? What winds women up about their partner's driving?